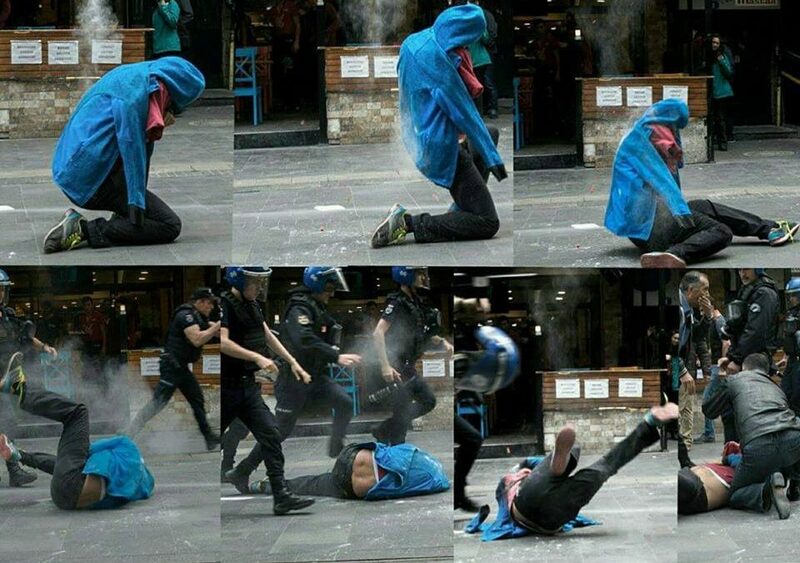 Newly emerged video footage shows the moment Turkish police fired hundreds of plastic bullets at Veli Saçılık, a former political prisoner and public servant who was sacked by a government decree in the aftermath of a July 15 coup attempt in Turkey. 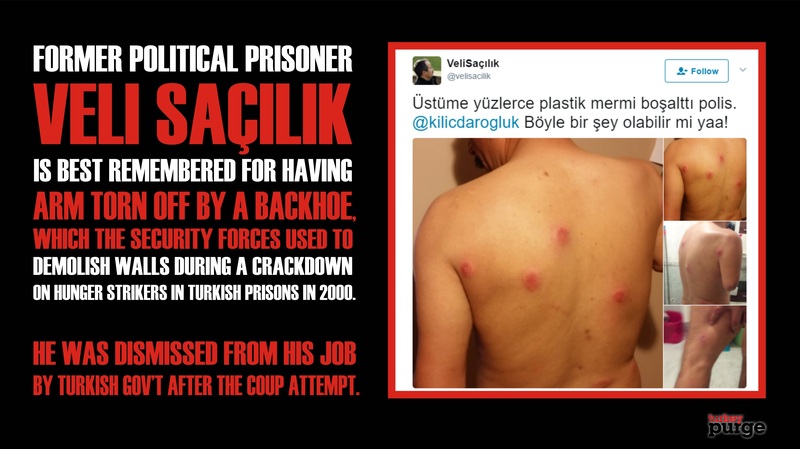 In the 43-second video, viewed hundreds of times on Twitter, Salıcık was initially assaulted by a group of police officers and then “shot with hundreds of plastic bullets” for publicly protesting his dismissal under post-coup emergency rule. After being hit by the bullets, Saçılık is seen falling to the ground and crawling away. 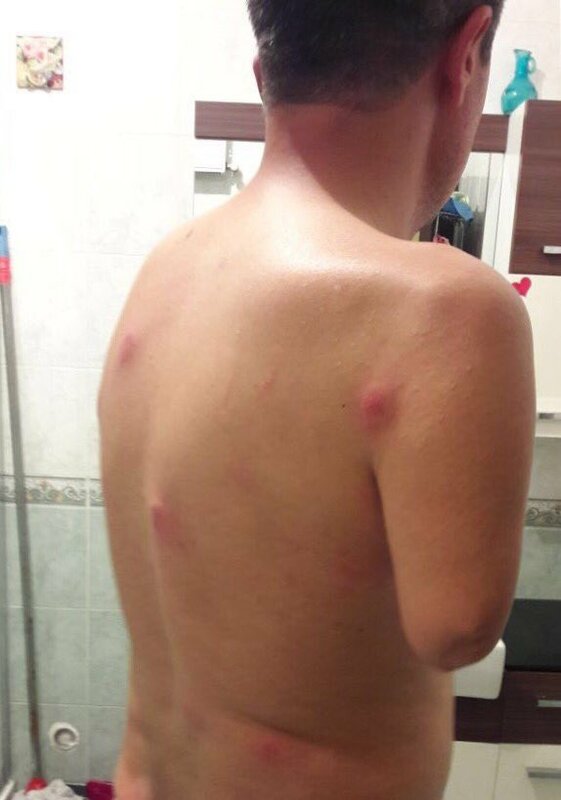 He later posted photos of parts of his body hit by the bullets and criticized main opposition Republican People’s Party (CHP) Chairman Kemal Kılıçdaroğlu for failing to stand with the purge victims. 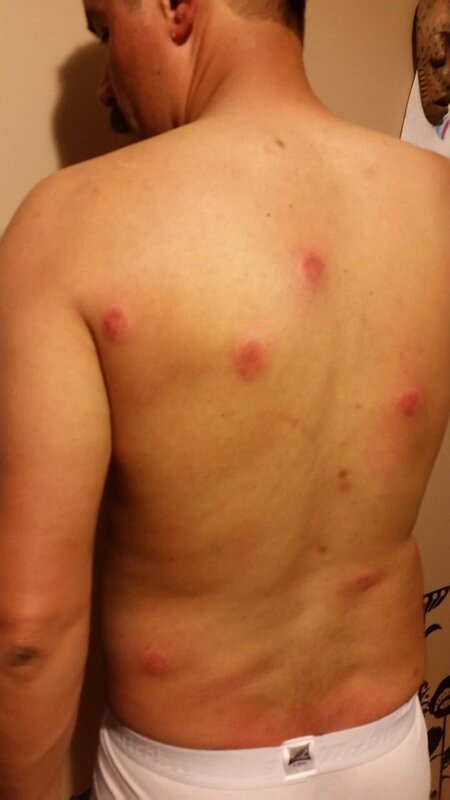 “I was shot with hundreds of plastic bullets. @kilicdarogluk How can something like this happen?” Saçılık tweeted in reference to Kılıçdaroğlu’s — according to many — weak objection to the results of a recent referendum on whether to switch the system of governance in Turkey to an executive presidency. During the voting, millions of citizens cast their votes in unstamped ballots, while others used envelopes and ballots they brought with them, which prompted some opposition parties and naysayers to raise suspicions about the validity of the votes. Former political prisoner Saçılık is best remembered for having the lower part of his arm torn off by a backhoe that the Turkish government used to demolish walls during a crackdown on hunger strikers in Turkish prisons on July 5, 2000. The arm was thrown in a dustbin and was later found in the mouth of a street dog. The European Court of Human Rights heard the case of Saçılık and others and ordered that Turkey pay the victims TL 46,000 in compensation. Saçılık was dismissed from his job by a government decree issued in the aftermath of the coup attempt on July 15, 2016. More than 130,000 people have lost their jobs over alleged or real ties to Turkey’s Gülen movement, which the Turkish government accuses of masterminding the July coup attempt.